The Merrion Centre is celebrating further securing its place as one of the top destinations for foodies in Leeds, as PizzaExpress has picked it as the location for its brand-new restaurant. 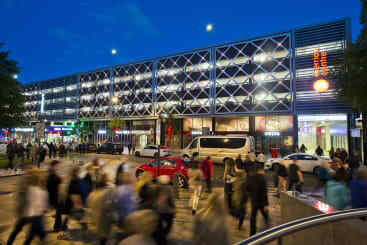 The choice of the Merrion Centre’s successful Arena Quarter by the owners of PizzaExpress is in recognition of the recent regeneration and enhancements the area has undergone. Town Centre Securities (TCS), owners of the Merrion Centre, have transformed the area, attracting a range of standout restaurants and bars to ensure there is something for every palate and budget. The new restaurant will create 22 new jobs when it opens in March 2019, with enough space to seat 120 people and an additional outdoor space for a further 36 diners. PizzaExpress has more than 50 years of experience in offering great food and evocative music with a distinct design. The restaurant has had a presence in Leeds for more than 20 years and is now expanding its offering with its new Merrion Centre opening, choosing a location directly opposite one of the busiest music venues in the city centre, the First Direct Arena. 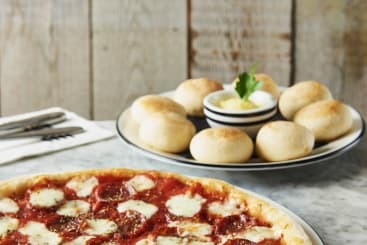 Ben Hicks, Operations Manager for PizzaExpress, said: We opened our first Leeds restaurant back in 1996 and have since then invested regularly in the City by opening further restaurants. We are thrilled to commit to our latest flagship venue in the Arena Quarter which further strengthens our long-standing connection with great music. The Merrion Centre has continued to go from strength to strength, enjoying high levels of footfall in the first half of the year as consumers show their preference for the centre’s mix of retailers. The new food offering to open in the Arena Quarter joins a host of other popular dining destinations including the recently opened Arnold’s Restaurant & Bar, Bengal Brasserie, Hook & Line, Fuji Hiro and the award winning My Thai, amongst others. Helen Green, Associate Director for TCS, said: “We are very excited to announce that PizzaExpress is going to be joining our successful, burgeoning Arena Quarter. The Merrion Centre and this area in particular continues to enjoy growth and high levels of footfall, and we have no doubt that this new addition will enjoy the same success. The new PizzaExpress restaurant is expected to open in March 2019.